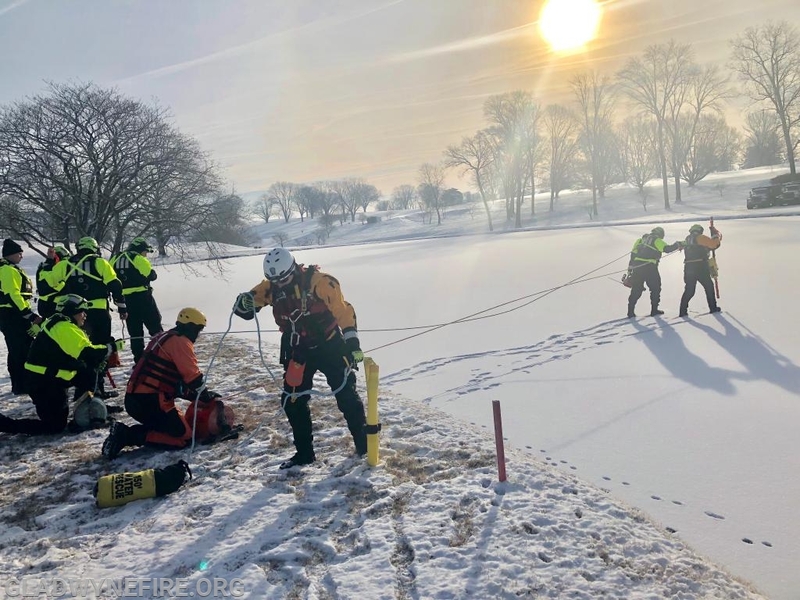 We Held an Ice Rescue Drill - What Did You Do This Morning? 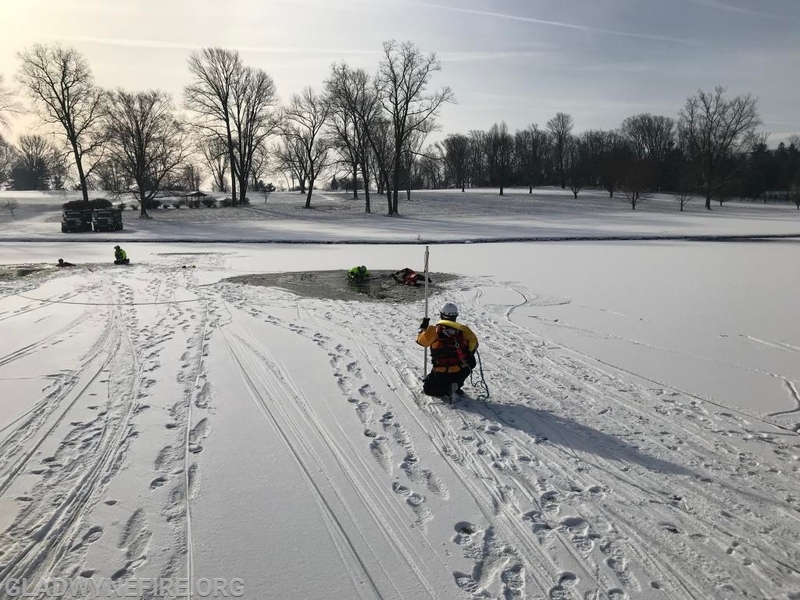 Your Gladwyne Fire Company Swift Water Rescue Team members participated in an Ice Rescue Training at the Philadelphia Country Club pond. 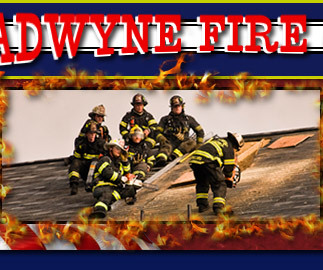 Gladwyne Firefighters in addition to constant training in firefighting skills also train in water rescue as well. 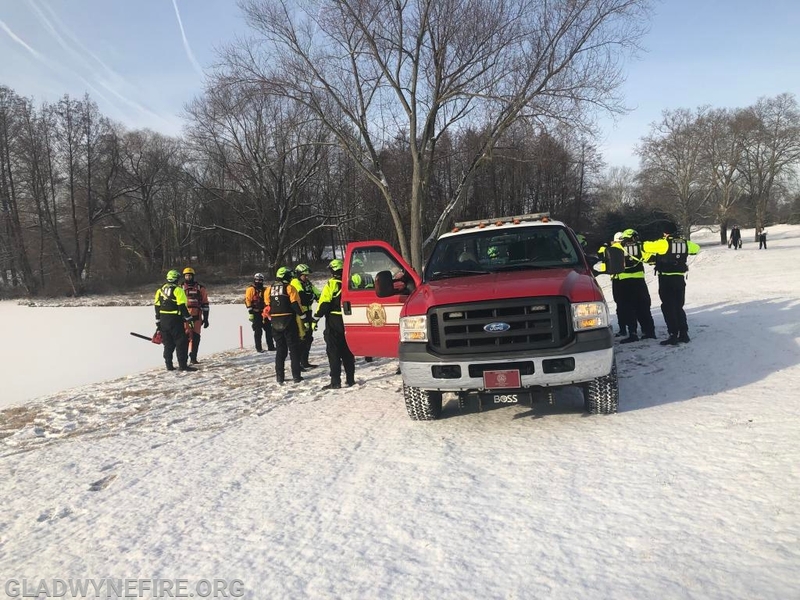 Gladwyne Fire Company is classified as a PEMA Type II Swift Water Rescue Team. We achieved this prestigious recognition through constant training and certification. 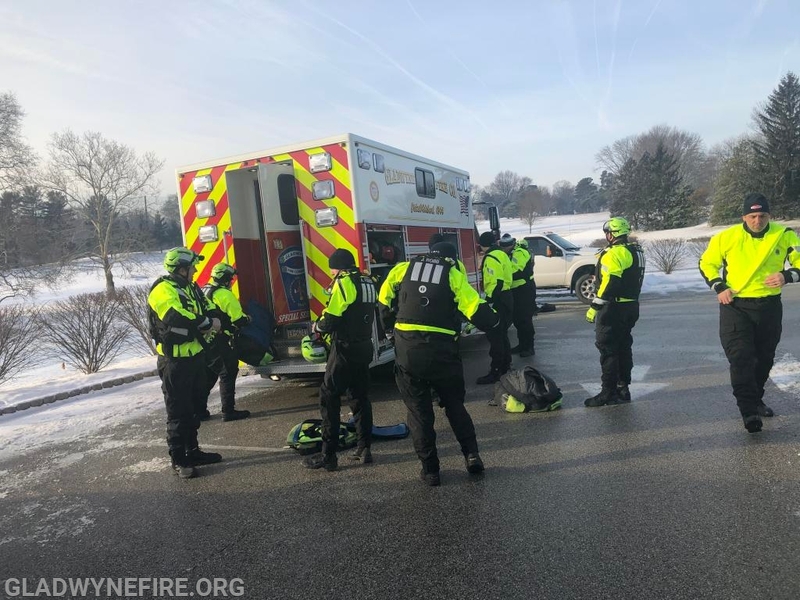 Being a swift water rescue team is not just about training when its warm out. 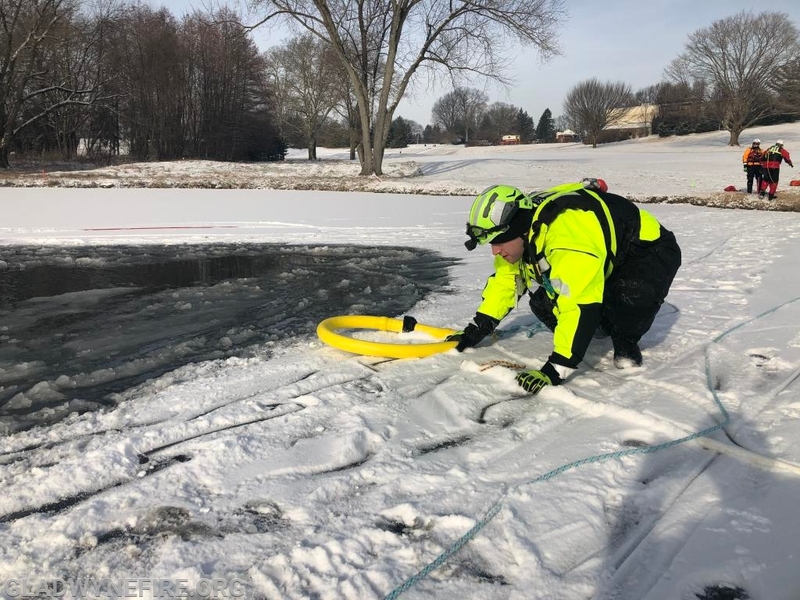 We are very fortunate to have such dedicated members of our company that will train in the extreme temperatures. 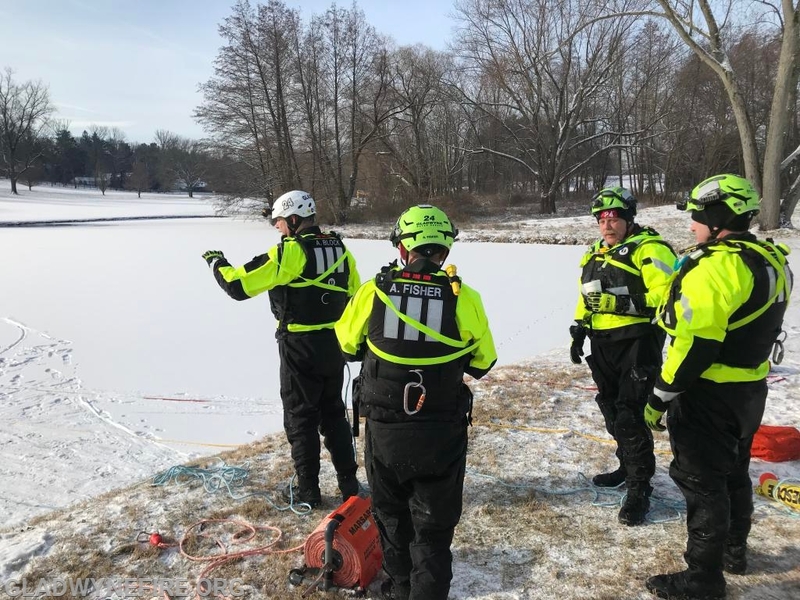 All Swift Water Rescue Team members are required to perform all of the skills on an annual basis. 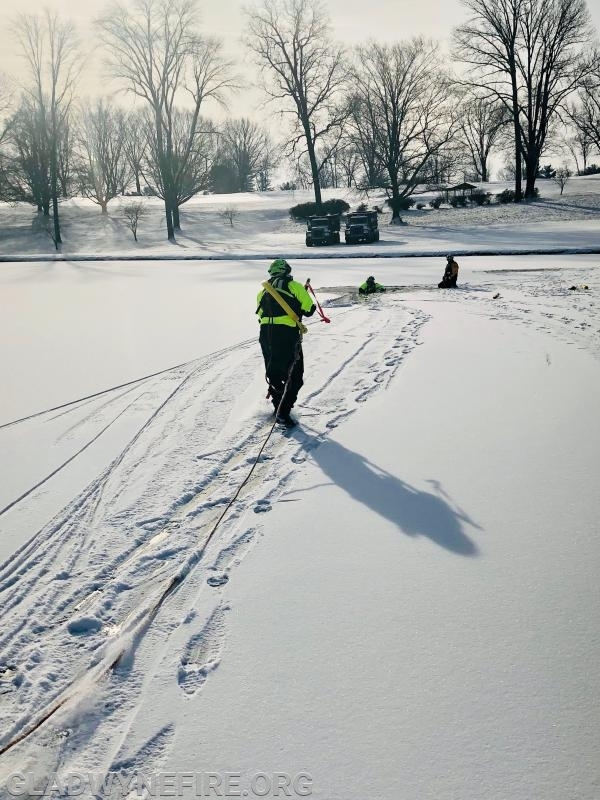 A GREAT BIG THANK YOU to the Philadelphia Country Club who allows us to train in the pond on the golf course. 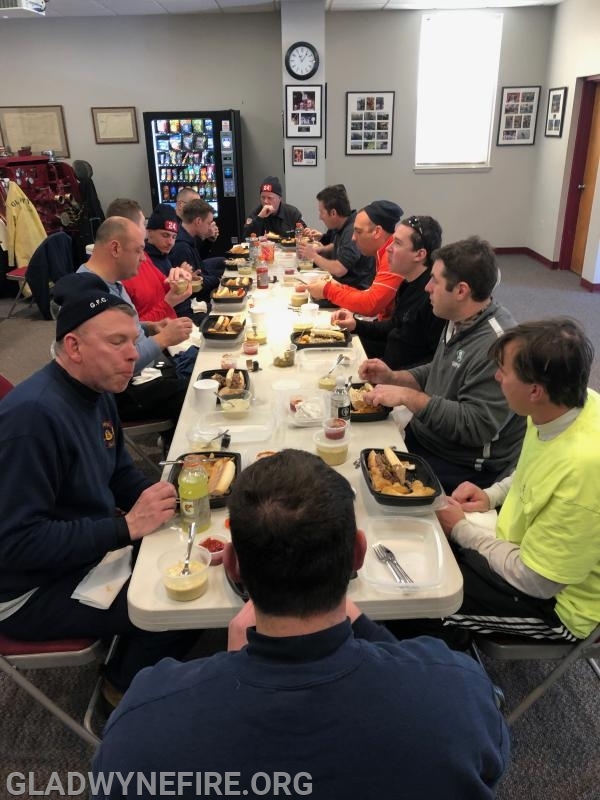 They also provided us warm coffee, hot chocolate and lunch when we were done. Our community is full of great people who support our company and the PCC is one of the groups that is always there for us. 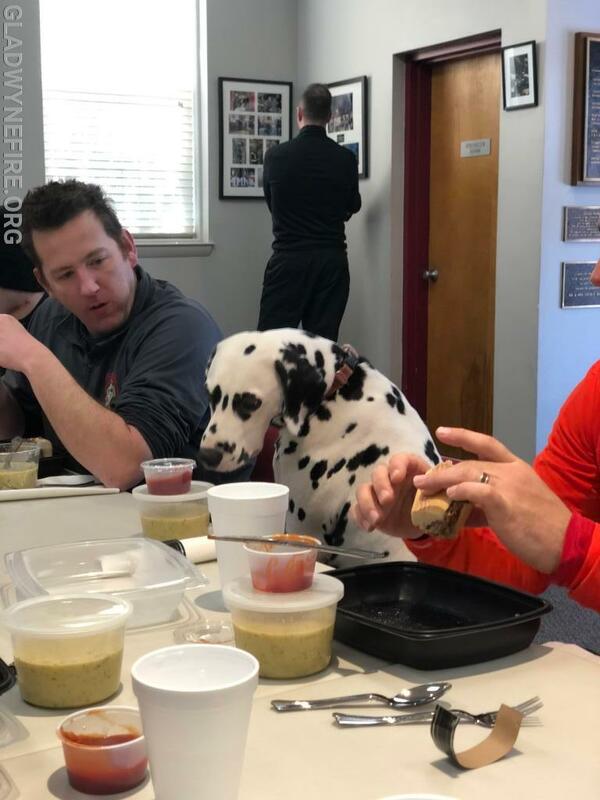 Even Rowdy wanted to sit at the table with us for lunch.